Chris Evans stole our hearts in the Fantastic Four and has remained our superhero in the Captain America and the Avengers series. He’s not only good-looking but seriously talented as well. While there haven’t been any Oscar nods yet, this 35 year old has many years of great movies ahead of him. 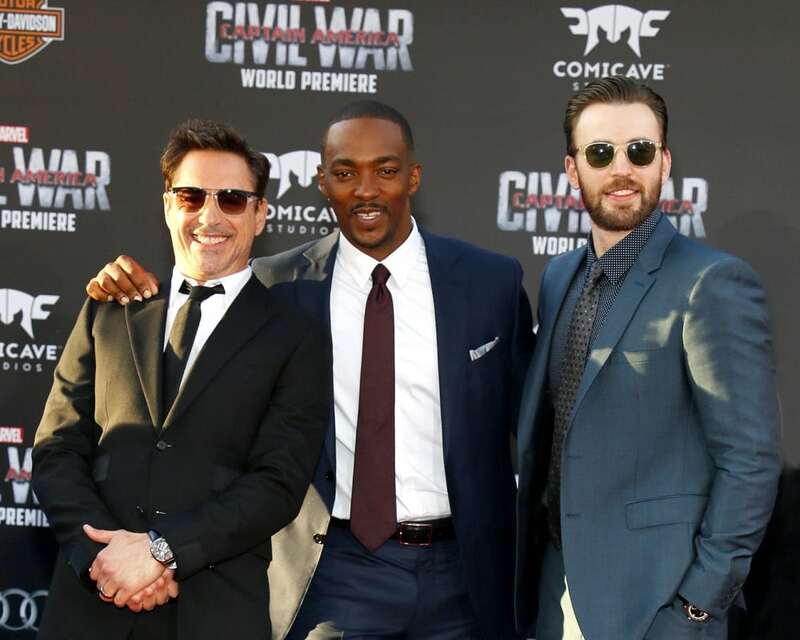 In the photo, he is standing next to Anthony Mackie and Robert Downey Jr.